Our large friendly hair restoration clinic staff is here to attend to your every need! Dr. Shapiro (see publications and appearances) has been in practice in the same South Florida locations since 1989. 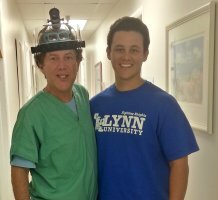 He has performed over 11,000 micro-mini grafts/follicular units procedures in South Florida. As a dermatologist (the treatment of skin, hair, and nails) he specializes exclusively in hair loss treatment. Dr. Shapiro's Accelerated Follicular Restoration™ (AFR™) was developed after years of observation and speeds the growth of new hair follicles, shortening or skipping the normal "shock" that occurs after hair restoration surgery. He was the first to do a "strip incision" and the first doctor in the Southern U.S. to specialize in "micro-mini grafts." About this website. Dr. Shapiro has a highly trained and experienced medical staff in his two south Florida locations, who have been with him for 12-22 years, and who specialize exclusively in assisting in hair transplant and restoration procedures. This knowledgeable and caring team is here to support you throughout this entire process. Dr. Lawrence Shapiro is the hair transplant physician of choice for other medical physicians. He has performed over 1000 procedures on his medical colleagues. He is a speaker on hair loss solutions at national and internationl industry meetings and venues. Call and ask us for physican references. After Dr. S. & Happy Clients with New Hair! Meet with me personally - we have no salesman! See actual hair transplant patients and procedures at the time of your consultation. Call 1-561-414-4509 (4247) now for your FREE consultation and receive 100 FREE grafts!! Dr Lawrence Shapiro started his career early on and always knew that he wanted to be a hair transplant specialist. His father was completely bald and wore a wig for many years. 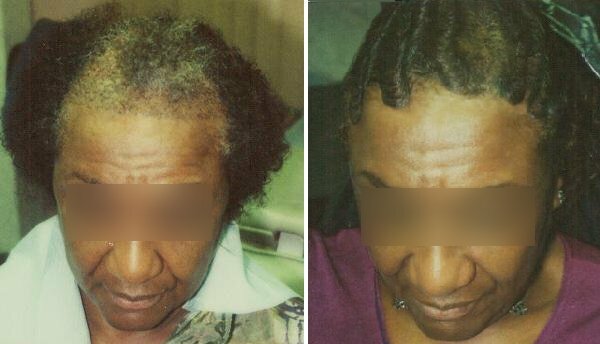 Because of the damage from the wig and medication for his high blood pressure and cholesterol his father lost his hair permanently. Since he had hair loss on both sides of the family he has spent his life dedicated to the Science of Hair Loss. Dr Shapiro went to both Rutgers DO Medical School (UMDNJ- University Medical and Dentistry of New Jersey) where he was president of his class, and Nova Southeastern Medical Schools. He specialized in Dermatology- Diseases of the Skin, Hair and Nails and was an Affiliate Member of the AOCD for 15 years which is a state approved AOA organization. 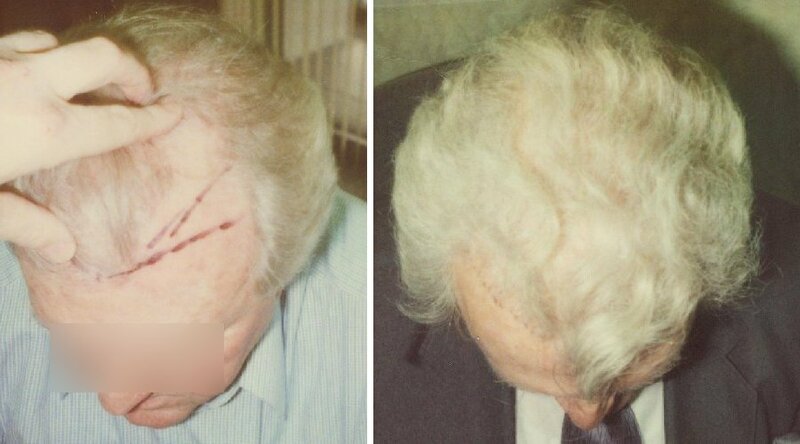 He is a member of the International Society of Hair Restoration Surgery (ISHRS). In practice since 1989 and having over 35,000 dermatology patients and focusing all his energy into perfecting hair transplants he has dedicated his life to this field. With over 11,000 hair transplant patients he now inspires his 17 y/o son Douglas to eventually take over his practice. Dr Shapiro with his advancements in hair transplantation such as the strip technique, specialized blades and hairline design, detailed preop and postop instructions, his revolutionary AFR technique, Fight Hair Loss and Win Book, and Help Hair products are to advance and further the Science of Hair. With steadfast Dedication and Excellence he will eventually pass his knowledge to his family who will continue to revolutionze hair transplants and hair care products for generations.